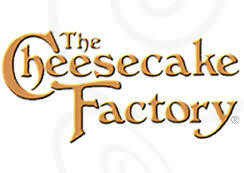 Cheesecake's area locations include King of Prussia (640 W. Dekalb Pike, 610-337-2200), Willow Grove (2500 West Moreland Rd., 215-659-0270), Cherry Hill (931 Haddonfield Rd., 856-665-7550), Lawrenceville (161 Quaker Bridge Mall, 609-275-5887) and Newark (132 Christiana Mall, 302-454-9444). Society Hill restaurant patrons can dine gluten free at a Southern-inspired "juke joint." 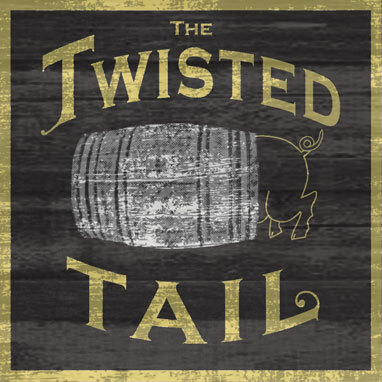 The Twisted Tail (509 S. 2nd St., 215-558-2471) notes gluten-free options on all of its menus (lunch, dinner, brunch and bar). Highlights include the charcoal-grilled Berkshire pork belly, Louisiana shrimp and grits and bourbon-glazed veal. (Note that the fries are prepared in a shared fryer.) Tip of the hat to Drew Lazor, who included The Twisted Tail in his recent "Top 10" Philadelphia gluten-free friendly restaurants post at CityEats' "The Plate" blog. A restaurant with a dedicated fryer is Halligan's Pub in Flourtown (1619 Bethlehem Pike, 215-836-9597), where the gluten-free menu includes sandwiches and burgers with buns, chicken fingers, wings, potato skins and original and sweet potato fries. Redbridge beer is available in bottles. Ending a three-year run in the Mt. Airy section of Philadelphia, the all-gluten-free Food For All restaurant and market has closed. Also closed is Pumpkin Market on South Street West. The neighboring Pumpkin Restaurant remains open. In Tuesday's post, I reviewed Fette Sau, the Philadelphia offshoot of the original Brooklyn BBQ spot brought to Fishtown by restaurateur Stephen Starr. 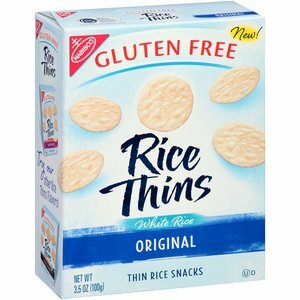 Not to be confused with non-gluten-free Brown Rice Triscuits, Nabisco has debuted a separate line of baked brown-rice crackers called Rice Thins. They come in three versions: Original, Sea Salt & Pepper, and White Cheddar. Barilla's new gluten-free pasta is produced in a facility in Italy that is dedicated to gluten-free and is made with a combination of non-GMO corn and rice. There are four varieties in the line - spaghetti, penne, rotini and elbows - which will be sold in 12 oz. boxes for $2.39. All four varieties will be available in select retail stores beginning in September, with full national availability in early 2014. New Planet, a gluten-free brewery in Colorado, will release an award-winning Brown Ale this fall. New Planet describes the ale as "rich in character and depth, highlighted by coffee and chocolate flavors, with subtle cinnamon and vanilla notes on the finish." The Brown Ale won a silver medal in the gluten-free category at 2012's Great American Beer Festival. SO excited they have a GF cheesecake. FINALLY! I'm not Celiac so I can eat Godiva no problem. I'd love to be able to go to The Cheesecake Factory but I still have concerns. When I called my local CF, they told me that the shepherds pie contains flour as a gravy thickener and the spray they use on the cake pans to help easily release the cheesecake from the pan also includes flour, even on the Godiva cheesecake. I wish we could get a definitive answer from a CF rep.